For three years we had a Wednesday program at 5 and 7 pm at the Art Center. The Norwegian Art Council gave us this possibility, which will be announced if started up again. More spontainous programming will happen, and always announced on the webpage and in social media. We welcome everybody to join all our events which are always for free. Telemark Art Centre started an art club for children in the autumn of 2014. During exhibition periods Marius invites children each Wednesday at 5 pm for tours and workshop events. 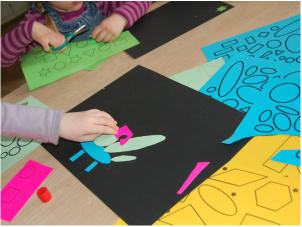 The Art Club is most suitable for children between 4 and 10 years. Please contact Marius with any enquiries. Years ago we started reading text from Baumgarten which we discussed in an open fora, and the event has been going on ever since. Mainly the texts are in English. Please contact Ida for more information or if you feel like joining this.